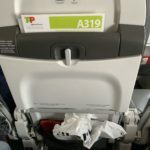 I had a very bad experience with TAP recently flying from London to Lisbon return. 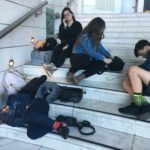 The flight to Lisbon was delayed for more than 2 hours no apologies - nothing. That was still ok as we were going on holiday. 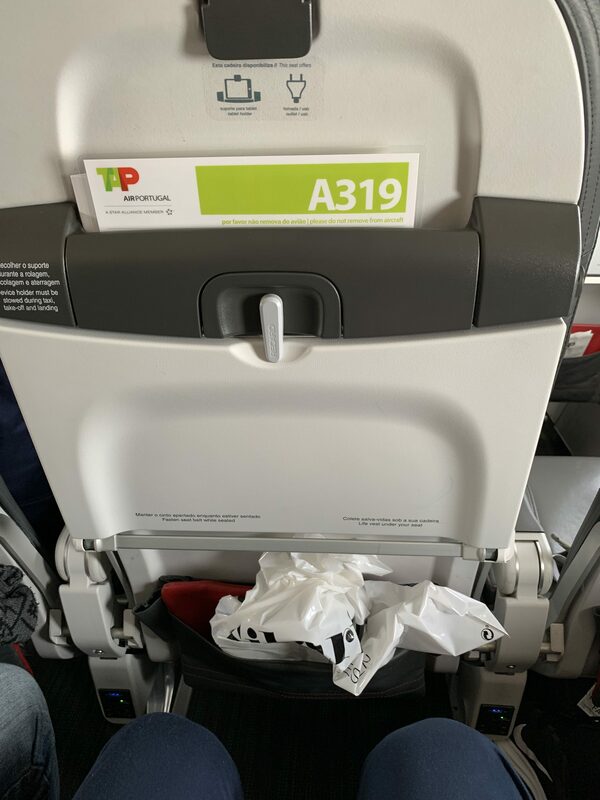 On our return flight TAP ground staff refused to check our luggage straight to destination stating we had two separate tickets - our connecting flight was on Etihad which is also a partner with TAP on Star Alliance. We were told to retrieve our luggage from T1 at Heathrow and check in again at T4. The check-in staff were not very pleasant when we still asked for our luggage to be sent to final destination and told us to go to customer service and not surprisingly the person there was quite rude too. So we had no choice but to check-in to London and hoping with the 3-hour connecting would be sufficient. Then the flight was delayed 30 minutes and then it was delayed 2 and half hours which would be impossible for us to catch the connecting flight. We had to call Etihad and change our flight - at extra cost plus hotel room. LHR-LIS-LHR. Outbound on ancient A320 1 hr late with little apology bar 'late inbound aircraft'. Seat and food OK bonus of the 3 seats between the 2 of us. Return truly awful on time admittedly on a newer A320. But honestly the staff were awful. Did nothing to stop the most annoying child running riot on the plane (admittedly her parents did nothing either). Made 6 rows of the aircraft truly miserable. Baggage at LHR took 55 minutes to arrive at the belt even though the screen said Bags Delivered about 15 minutes in. Star Alliance may get their baggage targets this way doesn't mean its right. TAP punctuality is atrocious. My last flight departed Zurich to Lisbon 50min late. Previous Bucharest to Lisbon was 1hr late. 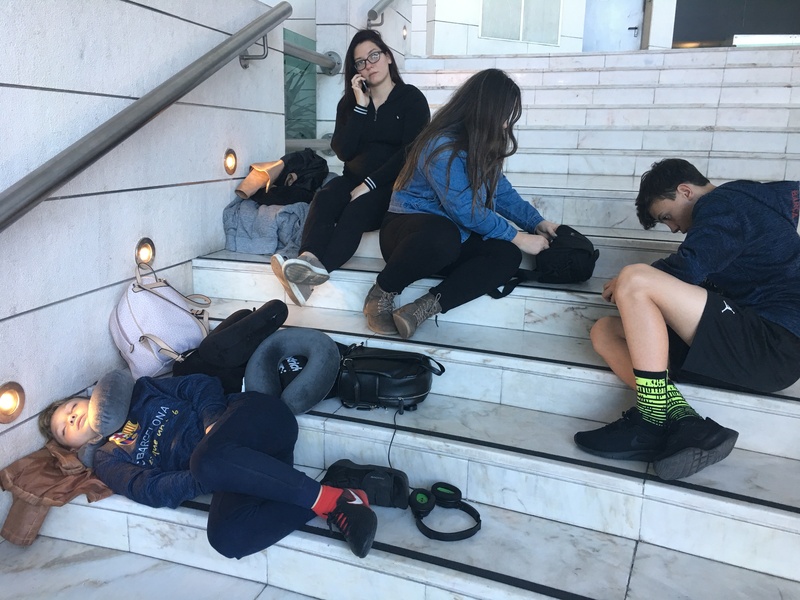 Lisbon to Munich was 2 hrs late with us sitting on the bus to the aircraft for 1 hr resulting with me missing my connecting flight. Budapest to Lisbon was cancelled with a replacement arriving 2 hrs later. So last 4 flights all delayed. Not impressed. LIS/SID Sal Cabo Verde. Very nice flight pleasant crew clean aircraft meal offered was good and quality of drinks excellent. On the downside seats showing their age and cramped (A320) and besides videos on overhead monitors with no audio no entertainment. Flew Business Class from Lisbon to Newark. A330-200 went Technical at gate. TAP Ground staff was able to switch to a back-up aircraft within one hour including unloading all cargo luggage catering and refuel the substitute equipment. Substitute Aircraft was also a new A330-200 with Star Alliance colour scheme. Very clean inside crew friendly and professional. Food was fantastic for Airline meal. Only problem was entertainment system which could have had a few more choices of Music and Movies and the seats that turned into a lie-flat bed where not the most comfortable but adequate for a 7.5 hrs flight. All in all it was one of the best transatlantic flight I have taken. Considering the original aircraft going technical before takeoff and getting into Newark with only 60 minutes delay that was excellent. Flew Business Class GTW-FUN-GTW. Broken seat that wouldn't stay in the upright position and no more space than economy. 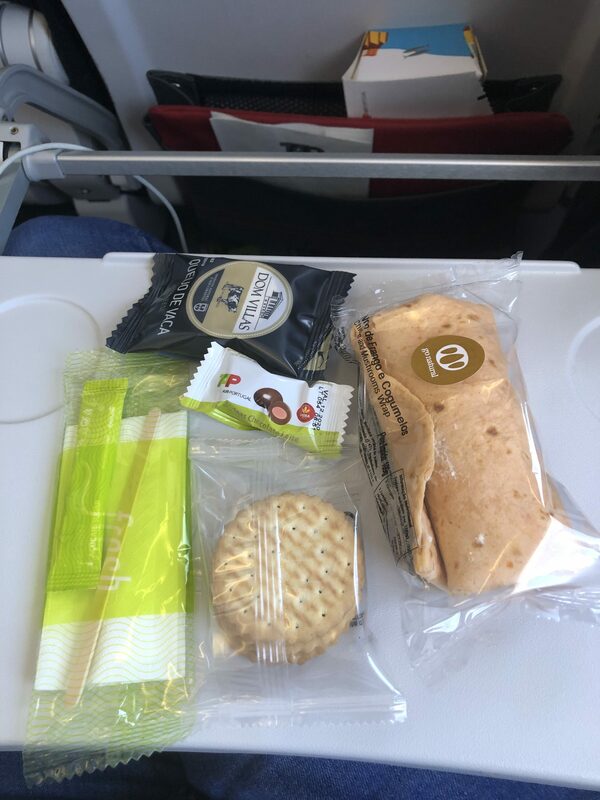 Outward leg was on time and actually arrived early crew were ok but nothing to write home about and the "food" (cheese and ham sandwich) was edible but not what you would expect. The return was an unmitigated disaster. Flight eventually boarded over 1 hour late and we sat on the Tarmac for a further 2 hours. Crew huddled behind the curtain they eventually offered one small glass of water promptly got a paper (none offered to passengers) then settled down to more laughing and messing about. Throughout the return flight the crew treated the passengers as nothing more than an inconvenience. The language skills of the chief steward were non existent so much so that his female colleagues had to step in and make the English announcements. Flew Dakar-Lisbon-Frankfurt on Monday. Take-off in Dakar was 3hrs late because they had to first check in customers from the flight that was cancelled the day before. In the end I was lucky to complete 6.30hr flight within 22 hours of the clock - other people spent 48 hours on planes and airports. Stuttgart-Frankfurt-Lisbon. Flight from Frankfurt to Lisbon was cancelled next flight delayed for a couple of hours due to technical issues - and made an additional stop at Dusseldorf a city in the opposite direction to Lisbon. We arrived delayed for more than 6 hours. Tried to complain at customer relations however I have never heard anything from them. I will avoid flying this airline again. 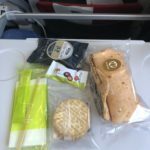 Flew TP0614 from LIS to BRU in Business on 30 Aug. Never again! You pay Business but TAP puts the overbooked economy passengers into Business with the consequence that you do not have free space between the seats. No possibility to work. Meal consists of sandwich with cheese and ham. There is no reason to fly TAP in business. Manchester - Lisbon. Airbus A319. 90 minutes late due to late arrival of incoming plane but kept informed and turn around was quick. Sat in row 8 in the seats that convert to business class. Excellent leg room and comfortable leather seats. Drinks trolley with complimentary wine and soft drinks plus a nice sandwich. Overheard screens played a selection of videos and plane tracking. Annoyingly the seat belt signs remained on throughout the flight even though we were flying in calm air - maybe captain forgot to turn them off but some people did get up to visit the toilet. Efficient bus to the terminal direct to immigration so no long walks. Baggage delivered reasonably promptly. A much better experience than the low cost and charter carriers.